The odium on gold diggers is now at its peak. Let’s give a standing ovation to all you bloggers, writers and people who have found time to be part of this finger pointing revolution! I lost count of the insult on Kenyan women, and all women, for being gold diggers. 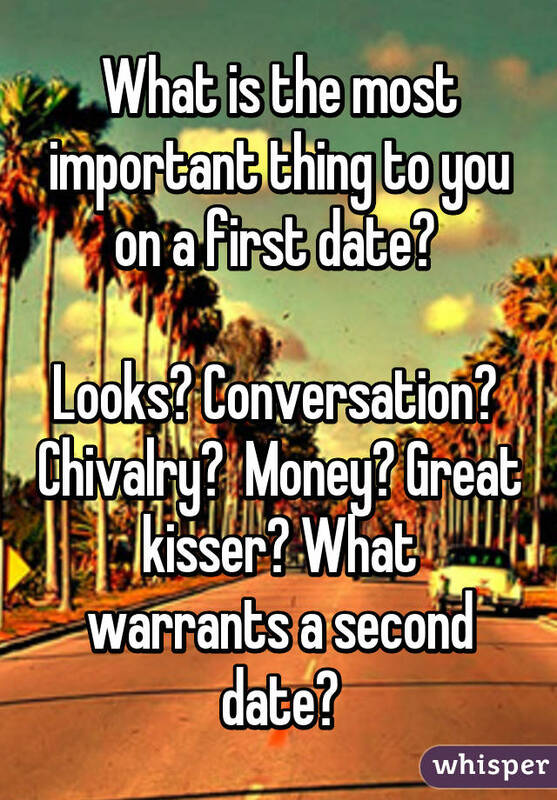 Mostly, from seasoned douches who will chase a woman with no intentions of getting serious with her. Why? Because they imagine that she is a gold digger, and they, the goldmine laced with diamond fillings. But how is dating such guys like? They will come in cabs, their friends’ cars or their cars because they imagine that a car will raise her eyebrows. They will have consulted their council on some place they can take her for drinks. You are lucky if it is a date, a quiet date. There will be no communication and no mental connection at all, right from the word go. Mr Goldmine will conveniently chip in a hint or two about how they have had a rough time in the last couple of years because they only seem to attract gold diggers. They will put a lot of emphasis on their chubby bank accounts, their good jobs and their good money. They will drop these comments between sipping whatever drink they will be taking. The poor girl will imagine that the drinks are spiked with some bile concoction, because of the expressions Mr Goldmine will make while talking about these women who gold dug his quarry. They will frown visibly and their forehead veins will even pop out. Total bitterness, oh boy! And you will sit there, unsure of what they expect you to tell them. That you are the saviour? That you are not like the others? That you are different? And just like that, the guy has passed his message….That he is ‘rich’, and that you have a task to prove that you are not a gold digger. The default status quo is that women are gold diggers until they prove otherwise. We are at an age where chivalry is taken for a favour. That men have it in their heads that women are just out there to spend their money, and duck to the next highest bidder. In an era where a woman will feel like dating a rich guy is a crime because she will be branded a gold digger, and dating poor man is a delinquency because she will be seen to have no standards. You find yourself justifying why you are dating a person who is not ‘rich’ or successful. Something like, ‘he is not driving and all that…buuuuut, he has potential.’ We are constantly in the dilemma of having standards, and being real. But the venom spit on women is not purely from these insecure men. In fact, you will hear it more from your fellow women. Blabbermouths who are quick in pointing out who is dating for money and who is getting married to an UGLY rich boyfriend. You see, handsome and rich hardly ever fit in the same sentence. It is the theory of picking a struggle and riding by it because that thing of being an all-in-one package is out of this world. We live in a society where a man cannot be rich, handsome and good natured. In the same society where a woman cannot just be brilliant, beautiful and genuine in her love. She is either a blond who wears yoga pants from morning till evening waiting for her sponsor to greet her later with chums, or a nerdy ugly plain Jane. If she hangs out with ‘moneyed’ men, she is a gold digger. If she lays low, she is cheap, she has no standards. Same same chatterboxes judging others, will be top of their volume wondering where the men who spend on their women are. Ati, ‘Aki I just want a guy who will spend on me, without me telling him to’. It has come to the point that we imagine if he took you out, it is because you asked him to. They are the ones who will spend an afternoon drooling over so and so’s boyfriend because he took her here and there, or bought her this and that. You can feel the envy from the way they will stare at you, wondering what you have or do, that they don’t. They will ask where you two met, where he works and what he owns. You can even feel the tremble in their voices when they tell you how lucky you are to have such a man who knows the rules of knighthood….the tremble of jealousy. No one will ever ask you how he makes you feel as the first question! And stop sitting there pretty calling others gold diggers if you know you are asking any of those questions, or wishing you had a man who knew how to spend on you, or who knows his role as the provider! Don’t even say a thing if you know you will start stammering if you are asked if you can date a matatu tout or a primary school drop out who is now a shamba boy. But even before we go further, let’s all agree that we all work hard so that we can get a comfortable life. Because we sleep in our hard beds and dream about the day we will be peers of the lords, sleeping in rocking beds. We see nice cars, nice holidays, nice homes and all the fine living that come about with success and get instant motivation to burn the midnight oil to secure ourselves a brilliant future. Now if you thought that a future is secured with ropes and chains, you have it all wrong. Money counts, money is the reward for effort. It pays bills and solves some small problems which would otherwise cause marital fights. We work hard so that our kids will never lack that which we lacked in our childhood, and these things have a cost attached to them. Let’s also agree that being successful will win you audience and attract attention at the bare minimum. Money is also a label that tends to give the illusion that you are on a level higher than everyone else. Those are the small facts about life, not rumours. You will be judged depending on what you have, or what you seem to have. But how is chivalry supposed to survive in an age where men feel like any woman they see on the street can smell the money in their pocket, and the pocket of his neighbour. Where even the finest of ladies will also be judged harshly for loving, and being loved. I read a blog just the other day, which insinuated that my small idol, Ess, said yes because the guy could afford to airlift her. That it is a shame that she said yes to a man who only has 200 twitter followers. I wondered if the writer would have done a congratulatory post if she had dated otherwise. But how? They would probably have found reasons to brand her cheap. It doesn’t matter how hard a woman has worked, she still will be judged by the kind of guy she dates. I have a feeling that men have taken the gold digging thing as an escape. Ok, I don’t know what they are escaping. But my take is that any man who has the guts to imagine that a woman is after his money, does not even have it in the first place. He is insecure that there are better men out there. And these are men who would never even part with a penny without being chocked by pain in their throat. They are mostly those that can never gift a woman, because she can be stolen any minute. Fact is, money is not a snapshot kind of thing. You could have it one moment, and have none the next moment. And as such, it never has been the primary reason for the decisions that women make. But as a man, at what point do you draw the line between being a provider, and thinking that you are being taken advantage of? At what point do you do spend on a woman because you feel the need to, and at what point do you start ‘buying’ her attention and time. At what point do you drop all the labels and genuinely pursue a woman, with chivalry? Without complications and without pride? And who do you consider a gold digger anyway? Interesting read; Aaah…. the last part ” where to draw the line” is definately food for thought. . . but for sure dating skepticism comes in handy when it comes to differentiate between the gold digger and a genuine girlfriend..
Sir, I did not call This Is Ess a gold digger for marrying a man with 200 Followers. But what I do know is that that woman is a snob. I met her at an Expo for the Samsung A – series (for which she was the Ambadsador/Face Of) and she quite literally avoided most handshakes from us ‘poor folk’. Also, I do not mean to judge a book by its cover, but look at Sharon Mundia and tell me she would marry a Broke Mofo. Aye? Money counts, it does! Lakini, anyone has that potential to make money. I find it questionable why a good-natured man, brilliant and with all the potential would feel another man is more deserving of a woman than himself. My point is, this whole talk of who has money and who doesn’t is overated. Men will invest so much time telling her what they own to a point that it gets draining. It’s not a snapshot, so what happens when you suddenly lose it. No more conversation? But that aside, what is the line between being a provider and feeling like she is taking advantage of you? This is never even a discussion anymore. We have accepted the fact that Kenyan Women want a man with Financial Stability and we’re trying to move on. Do you have Male Friends? Ask Them. We men are ready and willing to sweat to feed you women. No need to whine anymore.